Calxeda, the Austin, Texas-based maker of ARM processors for servers announced Thursday that it will be closing, having been unable to support its current structure. Karl Freund, the company's VP of marketing, said the future of its assets had not been decided. Calxeda said it would remain committed to customer projects currently underway. Some of the company's staff is getting laid off and some is being retained. “It definitely means we're not going to be operating as we were before,” Freund said, adding that he was most likely leaving as well. The company, founded in 2008 as Smooth-Stone, has raised more than US$100m in two funding rounds: a $48m round in 2010 (it was then renamed into Calxeda) and $55m in 2012. 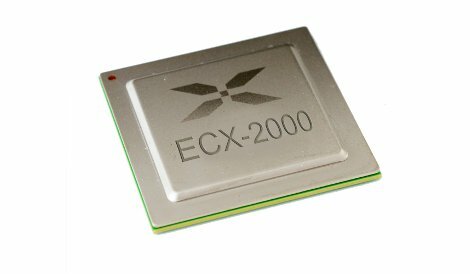 As interest in servers based on low-power ARM processors grew over the course of the year, Calxeda was expected to be one of the first companies to bring a 64-bit ARM server System-on-Chip (SoC) to market in 2014. The architecture chip makers license from the UK's ARM Holdings is used in the majority of the world's smart phones. Since these processors consume relatively little power, there has been growing interest in using them in servers and in other data center IT gear, such as storage arrays and networking equipment. Other chip makers marketing ARM SoCs for servers are AppliedMicro Circuits Corp. and Advanced Micro Devices (AMD), among others. They are competing with Intel, which has a 64-bit server SoC based on its low-power Atom processor on the market. The companies say the architecture would be well suited for widely distributed scale-out infrastructure supporting homogeneous applications. These would be the massive data centers operated by the likes of Google or Facebook. Facebook has said it was evaluating ARM servers, and rumors emerged recently that Google was looking into the architecture as well. Facebook's chief of hardware and operations Frank Frankovsky joined Calxeda's board of directors in October.